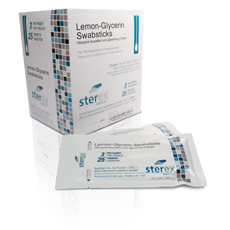 Sterex Lemon Glycerin Swabsticks provide oral lubrication and stimulate saliva. They are especially effective for patients with parched lips, on oxygen, after general anesthesia. Can also be used for patients with prescribed fluid restricted diets. 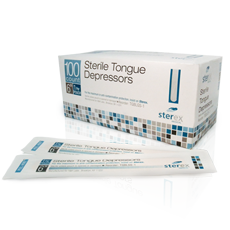 All Sterex Tongue Depressors are consistently made from top quality wood with a polished smooth finish so as to avoid any cracking or splintering that may sometimes occur with a lesser quality product. 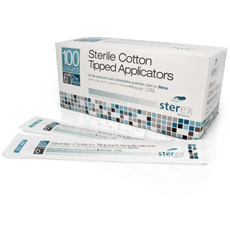 Sterex Medical Sterile Tongue Blades are sterile packaged and individually wrapped. In addition to aiding in throat inspections, they are also commonly used to apply ointments and to mix medications because of sterility. 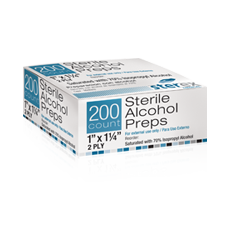 Sterex Sterile Alcohol Prep Pads act as a topical antiseptic. They are ideal for cleansing and disinfecting skin and in the preparation of site for insertion or incision. 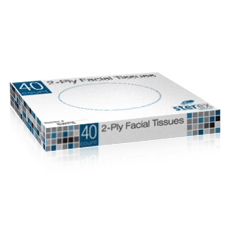 Sterex Medical individual pack tissues are surprisingly soft, strong, and absorbent. They are ideal for medical settings and are often used for patients on isolation orders. They're the perfect tissue to always have on hand and can be stocked in every room.